Greater yield and portion control are created with exact slice thickness. The Manual Onion Sicer slices perfect onions without crushing or brusing them. 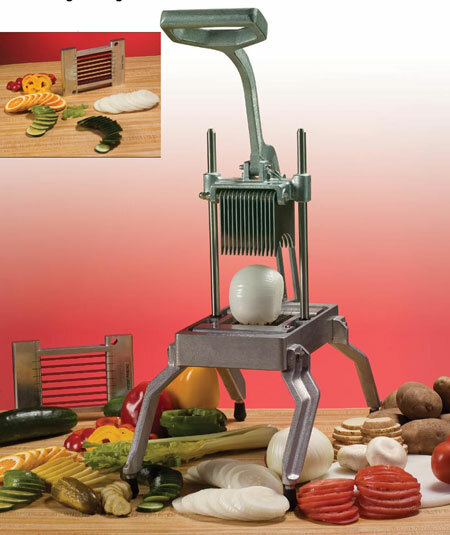 It also slices potatoes for cottage fries, squash, lemons, limes, oranges and other firm vegetables and fruits. Blade sizes 3/16", 1/4", 3/8" or 1/2" cut for jumbo onions.